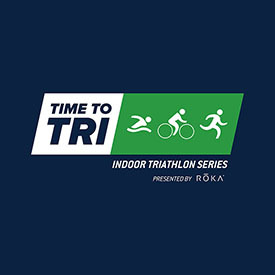 COLORADO SPRINGS, Colo. — USA Triathlon and LA Fitness today announced the Time to Tri Indoor Triathlon Series, presented by ROKA, comprised of five 60-minute indoor triathlons taking place at LA Fitness locations in Arizona on July 15 and July 22. The series is intended to introduce first-timers to the sport of triathlon, part of the industry-wide Time to Tri initiative launched by USA Triathlon and IRONMAN to grow the sport by 100,000 new participants by the end of 2020. At Time to Tri’s January launch, USA Triathlon and IRONMAN asked endurance sports and fitness brands, retailers and race directors to do their part to welcome newcomers to the sport. Through its indoor triathlon series, LA Fitness will introduce its facility members and others in the community to triathlon in a non-intimidating setting. Indoor triathlons are a key component of Time to Tri, offering an approachable first triathlon experience for those who are new to the sport. Each LA Fitness event features a 10-minute pool swim, 30-minute stationary bike ride and 20-minute treadmill run, and participants complete each leg at their own pace. The events take place at LA Fitness facilities in the Phoenix and Tucson areas, with three scheduled for Sunday, July 15, and two set for Sunday, July 22. The series is built around National Triathlon Week, a nationwide initiative to celebrate the sport of triathlon and all its constituency groups from July 16-22. Registration for all events is now open at mytimetotri.com/indoorseries. The price is $50 for the general public, while USA Triathlon and LA Fitness members each receive a $10 discount. Registration includes a race bag with ROKA swim goggles, a ROKA swim cap and a finisher’s medal by Ashworth Awards. An LA Fitness club membership is not required. Suzette Rodriguez, radio personality and co-host of the Phoenix-based JohnJay & Rich Show, will complete her first triathlon as part of the series. Rodriguez, in partnership with iHeartRadio, will join the event at the Tempe LA Fitness facility on Sunday, July 15. The event is geared toward, but not limited to, first-timers — in fact, the self-paced format presents the unique opportunity for more experienced triathletes to participate side-by-side with a friend who is new to the sport. Athletes who are not local to Arizona can take part in the indoor triathlon experience through USA Triathlon’s USATri60 series, which features 60-minute indoor triathlons across the country. Visit usatriathlon.org/tri60 to find a USATri60 event near you. To learn more about Time to Tri, an industry-wide initiative to grow triathlon participation in the United States by supporting and inspiring beginners to complete their first race, visit mytimetotri.com.